Living things create waste. The waste accumulates. What happens to the cereal box, the soup can, the newspaper, fast food wrappings? Many of this refuse and trash ends up buried in the ground in hills of garbage swarming with birds, insects and rats. This type of garbage collection is called a dump and causes environmental health problems for water, air, soil and people. 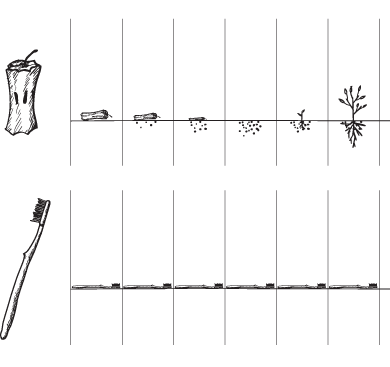 As underground burial areas increased in size and frequency, populations adjacent to them began to notice health problems. 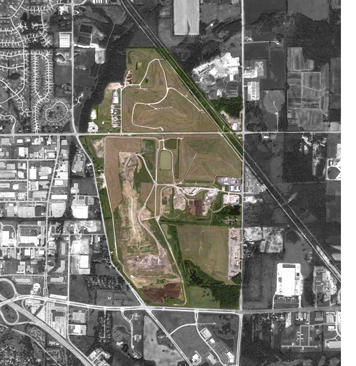 “Sanitary” landfills, developed in the 1930’s by the U.S. Army Corps of Engineers, created sealed burial grounds from waste. A landfill is a large, outdoor site designed for the disposal of waste. 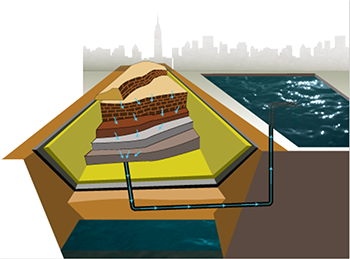 A landfill is a specially designed structure with a liner that isolates trash from surrounding ground water, air and rain run off. Later, the Environmental Protection Association established rules for landfill creation to protect people’s health and the health of the air and water and land. Where do the things we throw away go? 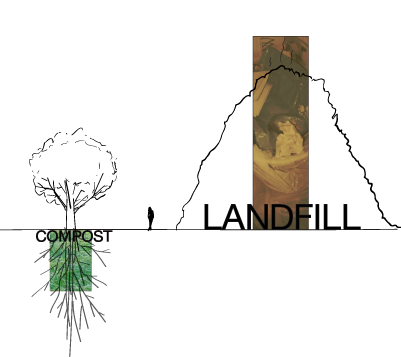 Find out the lifespan of landfills. When is a new landfill started? How long does it take to fill a landfill? How many landfills are closed already? Are there more landfills now? What is the plan for garbage when all of the landfills…are filled? Thankfully, people have come with ideas for re-using land fill lands. It is a reclamation process that involves sealing the toxic waster and growing above it. Another solution is to remediate toxins with vegetation. 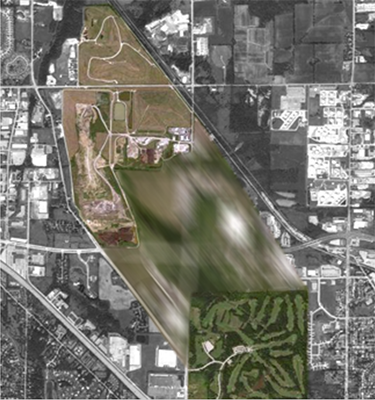 Some landfills are turned into golf courses. Others like the FreshKills Landfill, became a nature preserve. What ideas do you have for your local landfills? Sketch some ideas in plan and section. For this activity, you will observe the different rates of decomposition of materials. Fill a large glass jar halfway with soil. Place the trash from your last meal into the jar, cutting into smaller pieces if need be. Cover the trash with another layer of soil. Poke small holes into the lid and twist back into place. After one month, empty out the contents of the jar, recording the different amounts of decomposition for the different types of materials. What changed? What did not? Make a graph of decomposition time of materials. Are there ways that you could reduce the amount of the unchanged materials that you consume? For one week collect your garbage. Be sure to separate paper and cardboard, plastics and glass, vegetable and fruit wastes and meat and dairy product wastes. You will need four separate containers. Be kind to the garbage and wash out your containers before putting them in their containers. Which type of garbage do you have the most of? Which is the least? Be a garbage sorter! What can you do to reduce your types of garbage? Can you collapse cardboard containers, crunch cans, After one week step onto a scale without any garbage and then four separate times holding the four different types of garbage. What is your total accumulation? If you collect this much garbage each week, how many pounds of garbage do you collect in a year of 52 weeks? How much garbage does the US population collect? On the average, Americans generate 4.6 pounds (2.1 kilograms) per day of garbage. This translates to 251 million tons (228 million metric tons) per year source: EPA. This is almost twice as much trash per person as most other major countries. Almost a third of our garbage is paper products. The amount of our garbage has tripled since 1960. Activity 4 – Where does garbage go? About 32.5 percent of the trash is recycled or composted; the garbage that is “biodegradable” or able to be broken down by enzymes and microbes, is recycled by nature into new building blocks for life. We call this composting. Material that is biodegradable, such as food wastes, grass clippings, newspapers, and cotton breaks down more quickly when oxygen is present. When oxygen is present it is known as aerobic decomposition. Decomposition without oxygen, or anaerobic composition takes much longer. Of the rest of the garbage, 12.5 percent is burned and 55 percent is buried in landfills [source: EPA]. Landfills by and large biodegrade slowly. Calculate the cost of transporting your garbage to the nearest landfill. Make a Garbage Pizza. There are two types if landfills- sanitary and solid waste. The sanitary landfill sits on a clay liner. 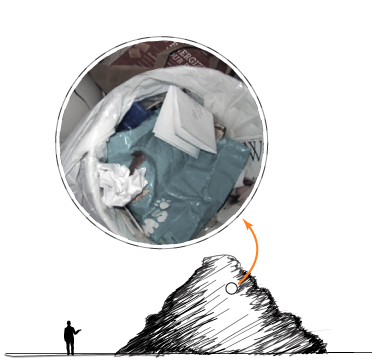 The solid waste landfill uses a synthetic or plastic liner. Both types work to isolate the material from the environment. Draw plans and cross sections of both types of landfills and label their parts. Landfills generally are monitored for 30 years after they are full. Do you think this is enough time? Make a map that shows the location and type and life expectancy of landfills in your state. How much garbage does the average American throw out daily? It is all right for people to produce garbage and throw it on the land? Biodegradable garbage can decompose and return to nature’s cycle. What makes up one third of our garbage? A byproduct of the anaerobic breakdown of trash, contains primarily which two compounds?